Takes 70 Minutes , serves 8. 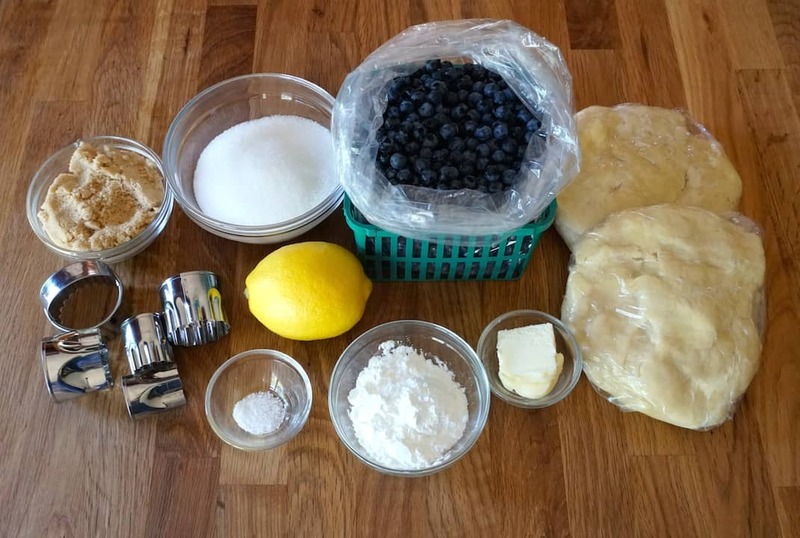 Prepare pie dough recipe and refrigerate two discs of dough for at least one hour before use. 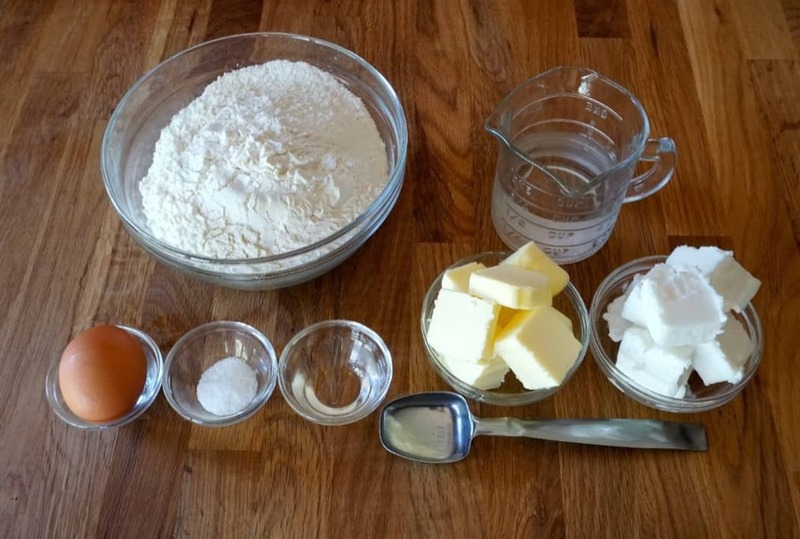 In a small bowl, whisk together sugars, cornstarch and salt. In a medium-sized bowl, lightly toss wild blueberries with lemon juice. Sprinkle the berries with half the sugar mixture and toss again. Add the remaining sugar mixture and toss until evenly coated. Preheat oven to 425°F. Whisk one egg and 1 tablespoon of water together to create an egg wash and set aside. Roll out the second disc of dough to a 14-inch round. Transfer to a 9-inch pie plate and trim away excess dough from rim. Spoon in the blueberry mixture. Cut butter into small pieces and dot them across the top of the berries. Return the first round of dough to your work surface. 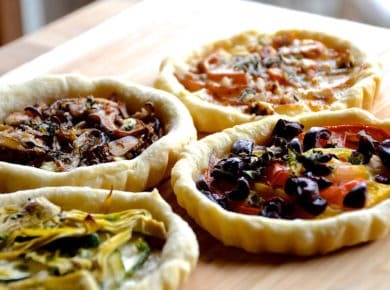 Using vegetable or cookie cutters, cut out a pattern in the dough, reserving the cut-outs to the side. Carefully roll the top crust up onto your rolling pin and unroll it on top of the pie. Adjust carefully to centre. Crimp the edges of the two crusts together. Brush the top crust with egg wash. Place the small dough shapes on top crust in an attractive fashion along the edge of the pie. Brush shapes with egg wash. Sprinkle the pie with sugar crystals. 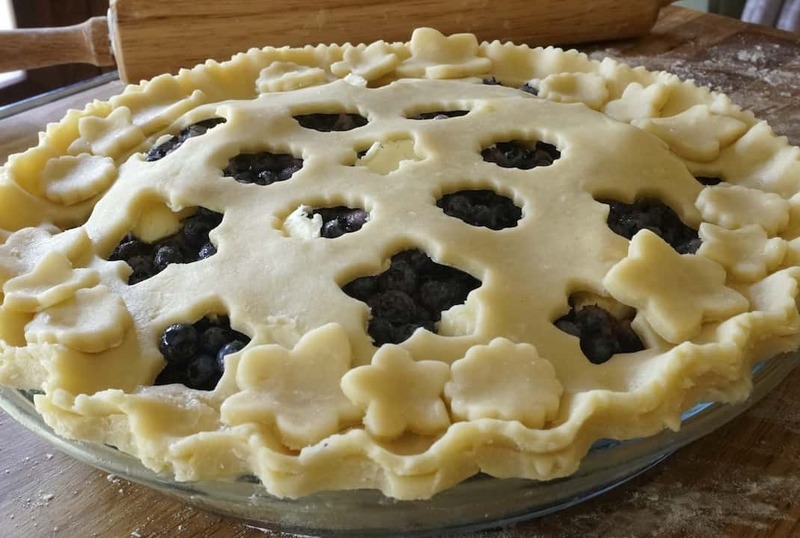 Place the small dough shapes on top crust in an attractive fashion along the edge of the pie. Brush the top crust with egg wash. Sprinkle the pie with sugar crystals. Transfer the pie onto a baking sheet and bake for 25 minutes. Reduce oven temperature to 350°F and continue baking for an additional 30 minutes, or until crust is golden and the filling is bubbling. Cool pie to room temperature, about two hours before serving. Present with fresh whipped cream and a sprinkle of cinnamon. 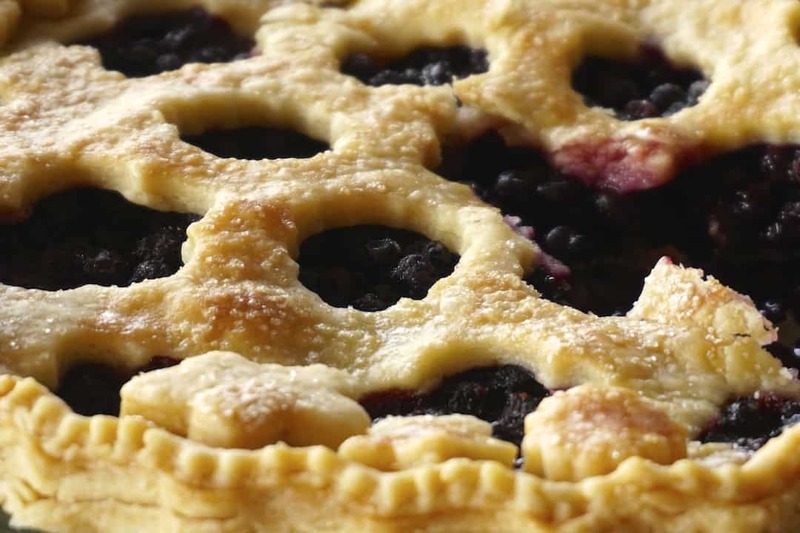 Superior berries baked in a tender, flaky crust, bubbling with the perfect mix of sweet, tang and spice – our WILD BLUEBERRY PIE will exceed your greatest expectations. 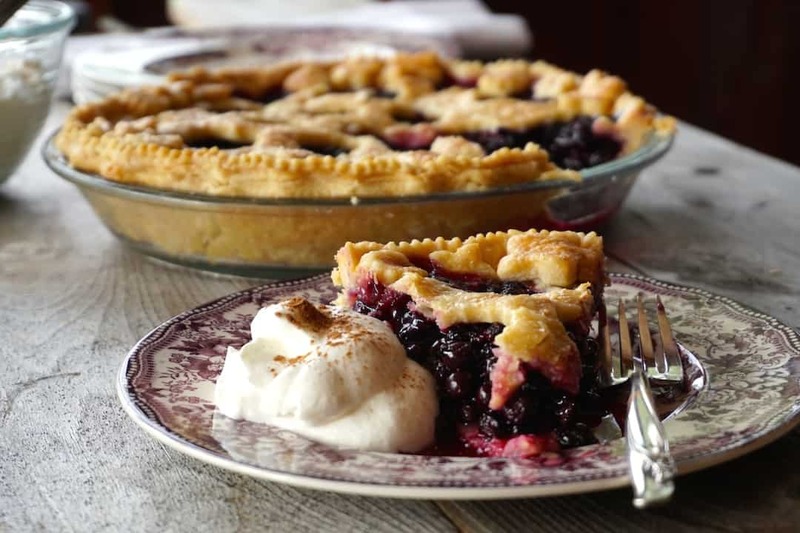 To put this in perspective, our intent is to share our absolute favourite recipes with you, but every once and a while we produce something that makes even us say “Wow!” This WILD BLUEBERRY PIE is that, and then some! 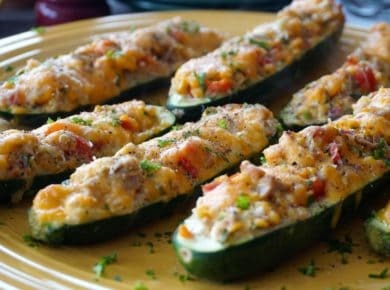 If you’re a new visitor to Weekend at the Cottage who has come for the recipe and only the recipe, go ahead and flip to the bottom to skip my ramblings; I promise I won’t be offended! But for repeat visitors interested in a story, settle in and get ready to talk about feelings. Let me just admit from the outset, my family and closest friends all know I’m a pretty emotional guy. Thankfully, I’m good with that. I’m the guy who gets all misty when I meet dogs – any dog, ALL dogs. I’ve also been known to shed a tear when I walk into a room filled with people I deeply care about; it’s these moments of overwhelming joy that bring tears to my eyes. 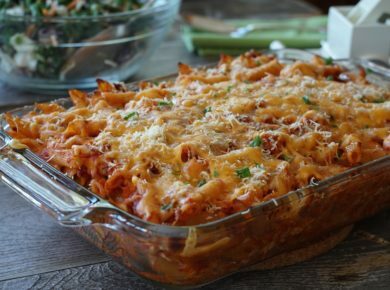 While working on this recipe, I came face-to-face with yet another instance where my feelings got the best of me. I prepped the ingredients, assembled the pie, baked it and gave it time to cool. After all of that, we got ready to shoot video of that first bite and, yup, it took everything in my power, not to break down in a puddle of tears. The joy of tasting this WILD BLUEBERRY PIE does it to me every time. So, if your feeling a bit down and need a boost of positive vibes (and who doesn’t? 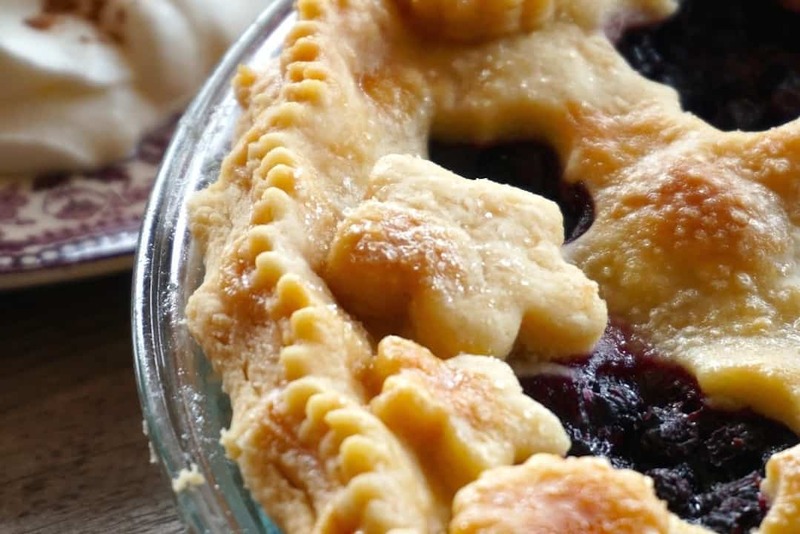 ), I have three simple suggestions; go out and hug a dog, hang out with people you love deeply, and make this WILD BLUEBERRY PIE. Trust me, you’ll feel great! PIE DOUGH – If you’re someone who hesitates to make a pie because you fear working with pie dough, let’s change that right here, right now. Click HERE to go to our PIE DOUGH recipe or click HERE to watch our simple 1-minute video tutorial. 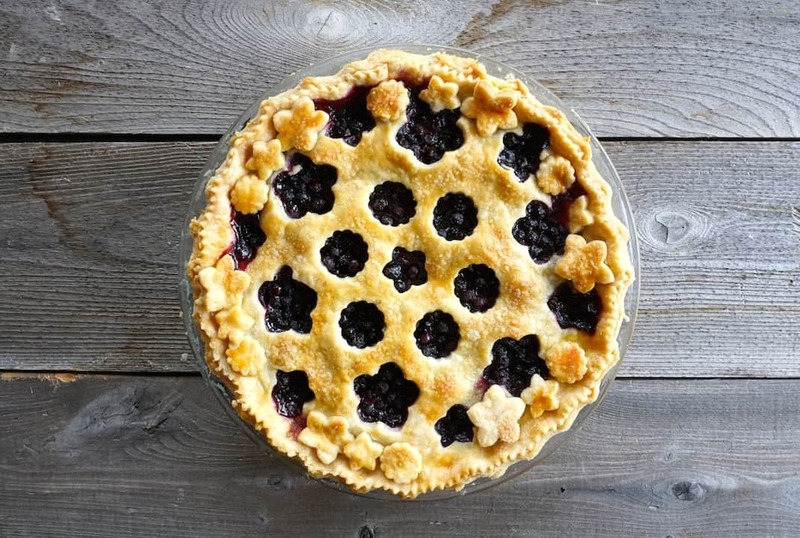 The one truth every seasoned pie maker knows is that practice makes perfect! 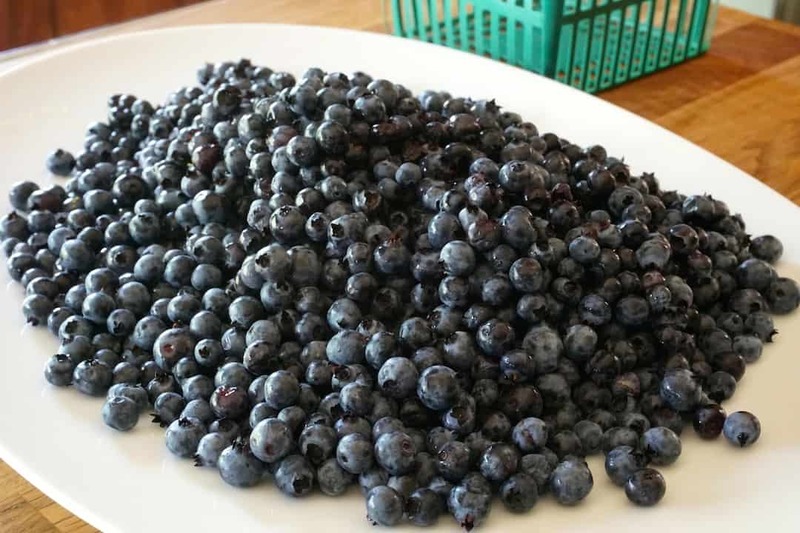 WILD BLUEBERRIES – Whenever we prepare a dessert that involves only one fruit, you simply have to find the best. Wild blueberries never, ever disappoint. Up here in Ontario’s cottage country, wild blueberry picking is a time-honoured tradition where just a bit of effort can reap joy-inducing rewards. 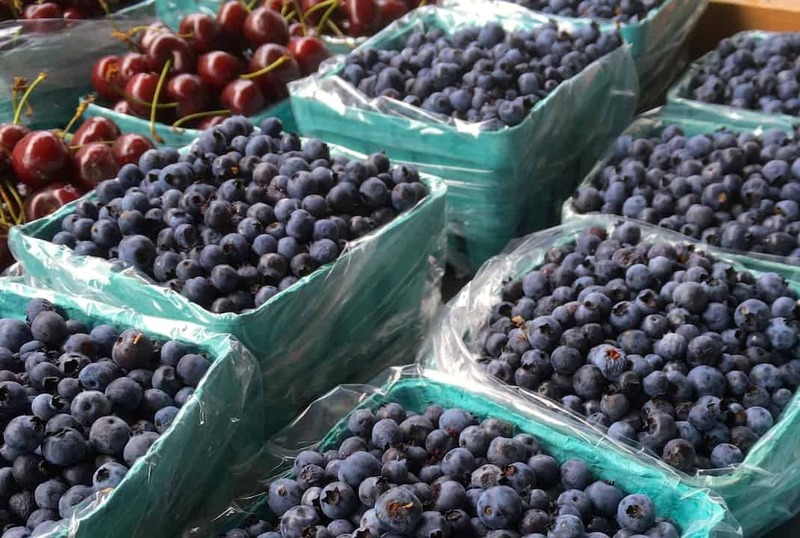 If heading off into the bush isn’t your thing, keep your eyes peeled for the arrival of these petite, jewel-like berries at local farm stands. 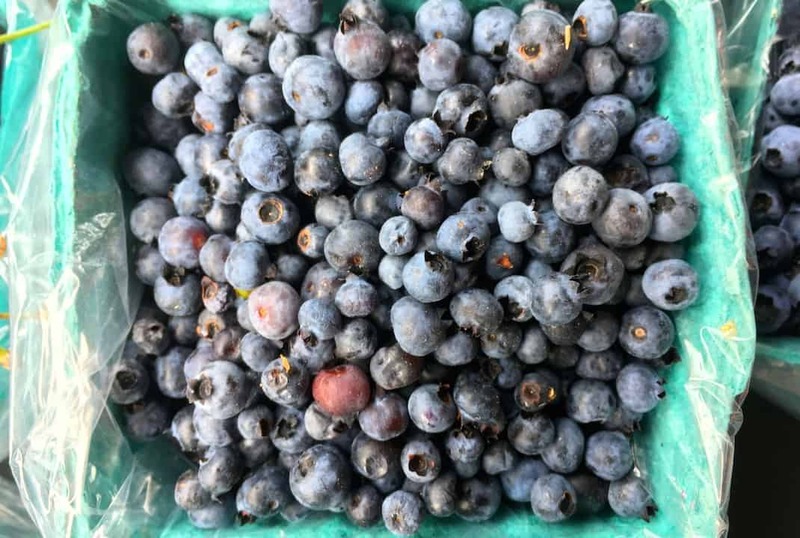 While we especially love wild blueberries for their intense, tangy flavour, let’s not forget their other important attribute – they hold their shape, texture and colour when baked and used in food preparation. 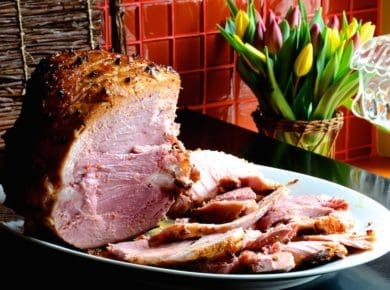 SUGAR & SPICE – I used two sugars in this recipe and love the depth of flavour they added. I also think the pinch of both ground cinnamon and nutmeg played perfectly off of the natural tang of wild blueberries. 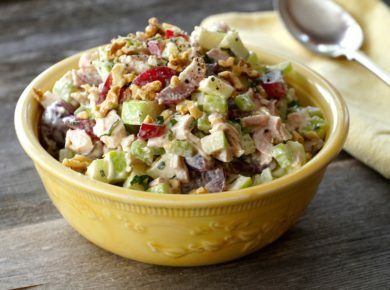 Since I’m only calling for a pinch of each, give this hit of fragrant spices a try – I know you’ll love it. 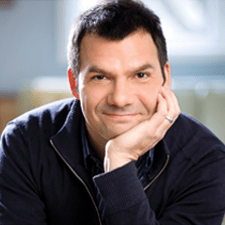 THE UPPER CRUST – Sometimes, the best things happen when you purposefully stop to rethink a key step in a recipe. The upper crust treatment in this recipe evolved from my goal to create a new look from the previously used trellis crust on our delicious INDIVIDUAL TURKEY POT PIES and full vented crust on our RHUBARB PIE. In my mind, I envisioned little blueberries peeking out from under the crust. This was easier than you might think, and all you’ll need to accomplish this stunning look are a few different sized vegetable and/or cookie cutters. 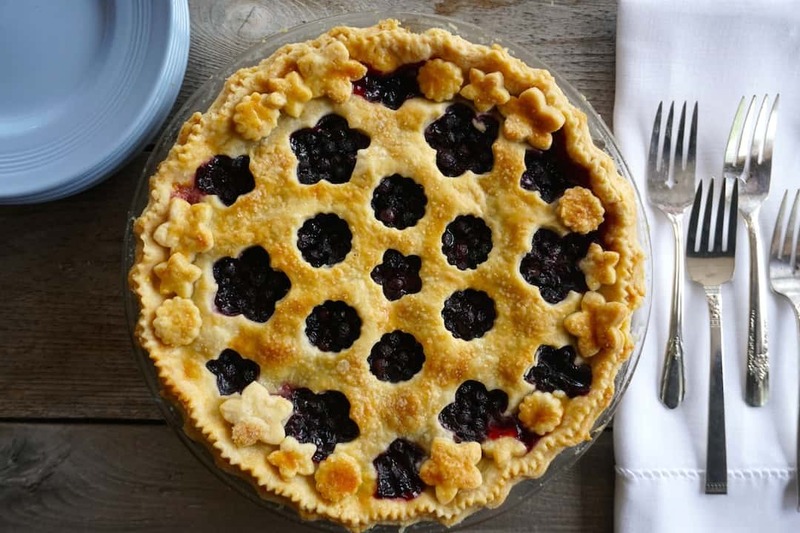 STAY COOL – It’s essential to give your finished pie a chance to cool for a bit before serving; I suggest letting it sit for two hours. Even with this extended cooldown, one of the hallmarks of a homemade blueberry pie is the way it weeps slightly when cut. 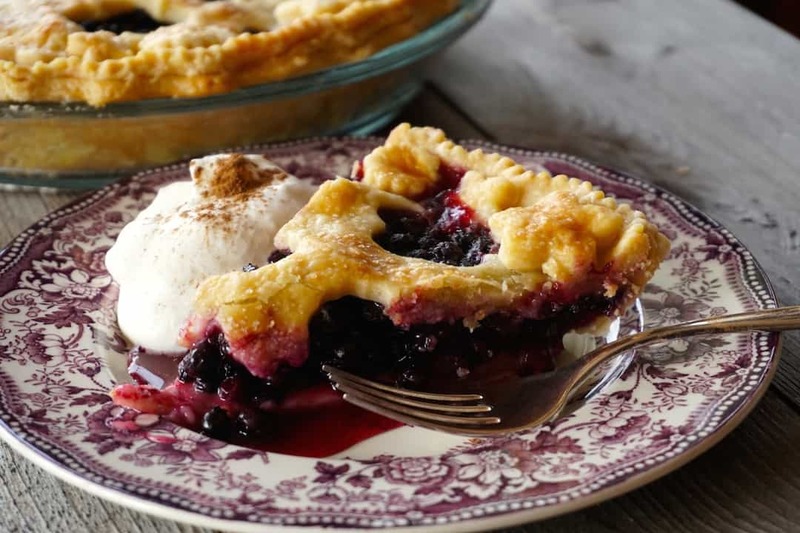 Suggestion: have a spoon handy when you cut your pie to snag a taste of the extremely flavourful syrup slowly coming off the pie. 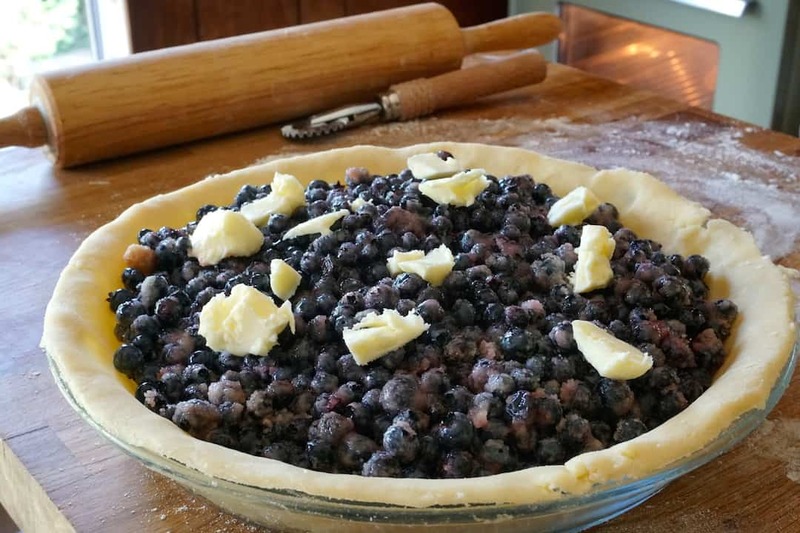 I’m really hoping I’ve inspired you to try our WILD BLUEBERRY PIE, and if part of your experience mirrors mine and you end up just a bit verklempt, so be it. Go easy on yourself – they’re feelings, nothing more than feelings! 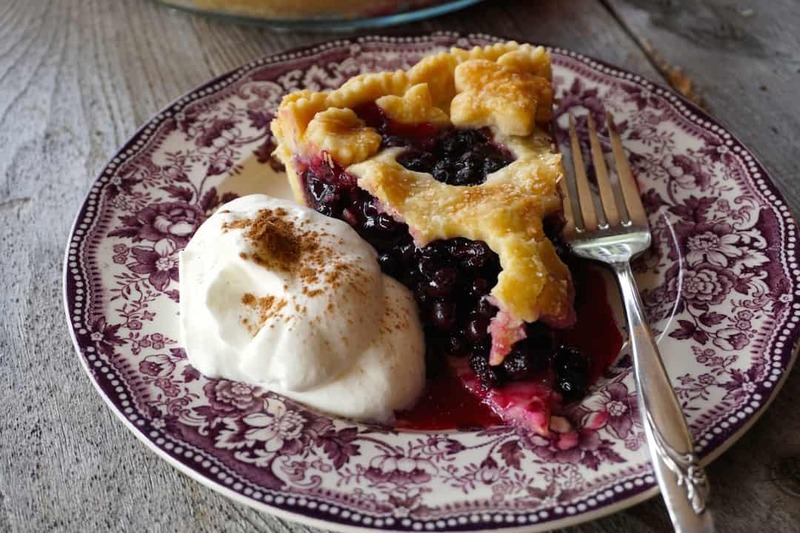 Make a WILD BLUEBERRY PIE and feel the love for homemade pie!